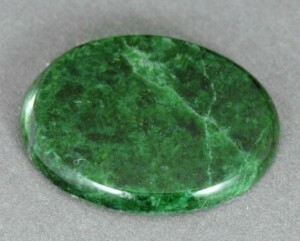 Previously jadeite did not belong to a separate category and are often confused with jade (nephrite). 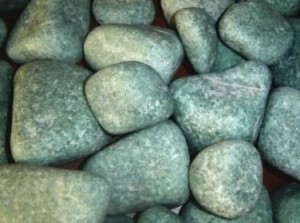 In fact, these stones are very similar in appearance, although their composition is very different. If we compare these two minerals, it can be said that jadeite is harder than jade and is much rarer. 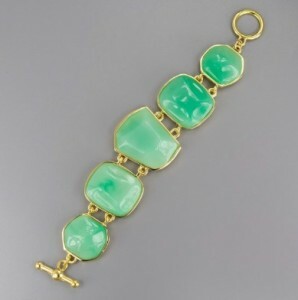 Until the 18th century both stones were called the same – jadeite, until it became clear that they do the same shades and have similar physical characteristics. This stone chemical composition is an aluminum and sodium silicate. However, instead of aluminum there may be iron, magnesium or chrome in its structure and instead of sodium – calcium. 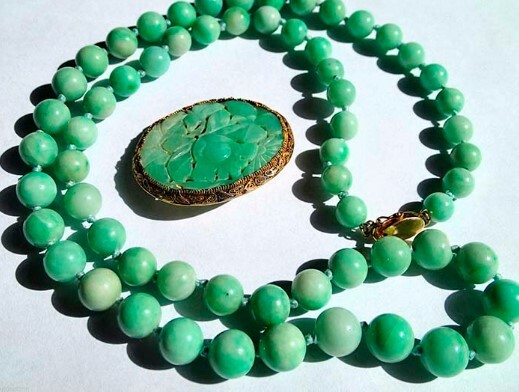 Jadeite history is more than one millennium. Even primitive man began to use the stone to make tools and instruments. In ancient China, it was used along with the jade for the manufacture of jewelry and various utensils: dishes, boxes, etc. Chinese attach particular importance to the mineral. Jadeite is sacred and very dear to everyone in this country. Mayans, Aztecs, Olmecs and other American peoples highly appreciate jadeite: it was more expensive than other minerals and metals. Now there are many art and jewelry from this stone found in excavations. The Europeans, who came to America during their colonization, noticed that the local population was very fond of jewelry made of green stone. They liked jadeite, so it appeared soon in Europe. 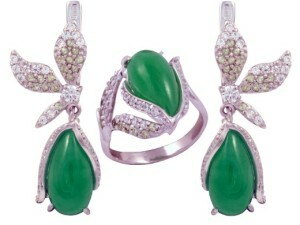 In India, the existence of jadeite was not hearsay known. Its properties are very much appreciated and used as a mineral material for jewelry and crafts. It was also known firsthand about the existence of jadeite in India. Its properties were appreciated very much and mineral was used as material for jewelry and crafts. Excellent decorative qualities, viscosity, density allow jadeite to be considered high-class decorative stone. Jewelers and other artists use it successfully, creating truly magical and incredibly beautiful products. Transparent-green variety of jadeite is recognized the most valuable. It is used for inserts in the earrings and rings. But there are other shades of this stone. In nature, there are stones of all shades of green and also white, yellow, red, blue, pink and even purple. Colouring of the stone is resistant. But there are some features: there is a bright yellow or red color formed on the surface of the mineral with long-term weathering. 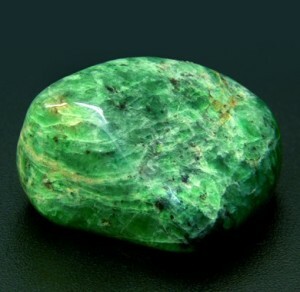 Imperial – translucent fine-grained stone of emerald green color. The best examples can be compared to the cost of emeralds. Utility – bright green opaque gem. It may have a cloudy, matt white or shiny black and others color. In some countries jadeite is called kidney stone. It is no coincidence – the mineral cures diseases related to the kidneys. Of course, a gem in itself can not help, but it is able to enhance the effects of drugs. This fact allows using the stone in all diseases of internal organs. In whatever degree it is applied, it is certainly beneficial to human health. Women use the unique properties of the stone for the treatment of reproductive system. The mineral relieves men from sexual weakness, impotence. 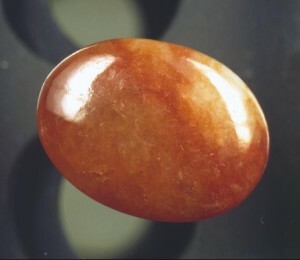 Chinese use gem for aura cleansing and biofield improvement. Beads and bracelets made ​​from this material will help to stabilize blood pressure and the cardiovascular system. It is not known whether there are involved some magical powers in it, but the mineral is attributed the ability of providing confidence and peace of mind to a person. It can help clear mind from obsessions and unnecessary thoughts, focus on the most important issues. In addition, the stone has a property to help in resolving family conflicts. It will show a man the right path and facilitate the proper communication within the family. People, who have this mineral in the house, notice that they stopped to make often different mistakes in relationships with their loved ones. The ancients attributed to jadeite magical properties such as control over the weather, control elements. Oriental sorcerers still elevate mineral over others. 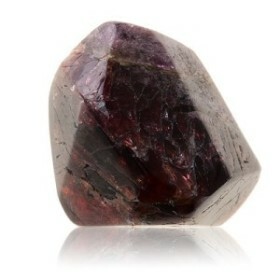 In China, there is a belief that this gem is the predecessor of all gems and it reflected the basic virtues. This stone is else staunch defender. There is evidence rooted also in the mists of time that under threat of an owner’s death or illness the gem is broken, keeping its wearer life and health. 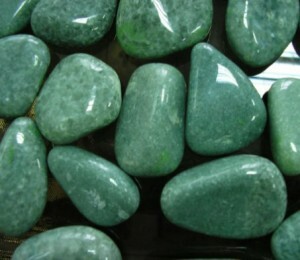 Jadeite is especially recommended to weak and uncertain people. It is believed that it will help to achieve inner understanding with yourself and “paint” life in bright colors. Planets that govern jadeite – is Venus, Saturn and the Moon. 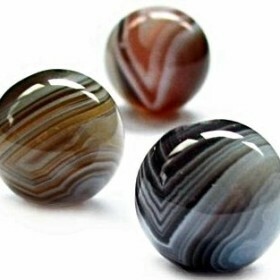 Being dependent on these heavenly bodies, the stone can both enhance its action and weaken. But it really focused a lot of energy, which, for all its power does not prevent it from being a great stabilizer. Among the signs of the zodiac, which the stone is recommended, should be allocated to all the earth. This gem especially among them fits Leos, but Capricorns are not so much. Jadeite stability makes it easy harmful to water signs. They may become too stubborn in their errors. Beautiful stone-equalizer is surprisingly suited Libra. If it does not convert their life, then certainly send in the right direction. 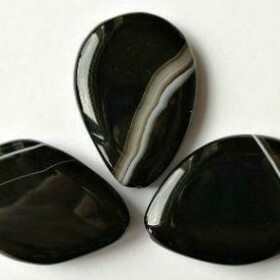 Magical stone features are not terrible and not contraindicated the remaining signs of the zodiac. On the contrary, gem is supportive of people, despite their errors and mistakes. Judging by how much the news report about jadeite in different countries and almost all nations of the world, it can be concluded that developed deposits existed previously much more than in the present. 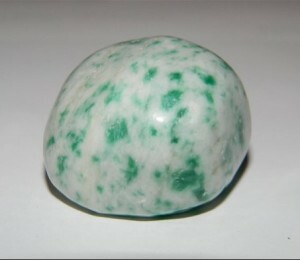 Now jadeite is mined mainly in New Zealand and Turkmenistan. In Russia there are two known deposits too, which are located in the Urals.